Automobile companies are fast realizing that Sales is Not the end of their responsibility. Car owners wish to stay in touch with the brand while brands need to listen to their customers and keep them engaged and entertained, besides addressing their concerns, if any. Tata Motors has taken a right step in this direction, with their new initiative, called S.O.U.L, which stands for Safari Owners United League. The objective of SOUL Drive is to bring the Safari owners and their families together, help them build a bond with each other (and the brand), provide a platform to discuss their vehicles, customizations, long drives and issues, if any with each other and/or Tata Motors. I got a unique opportunity to attend the recent most S.O.U.L event, held in Goa this Republic day long weekend. 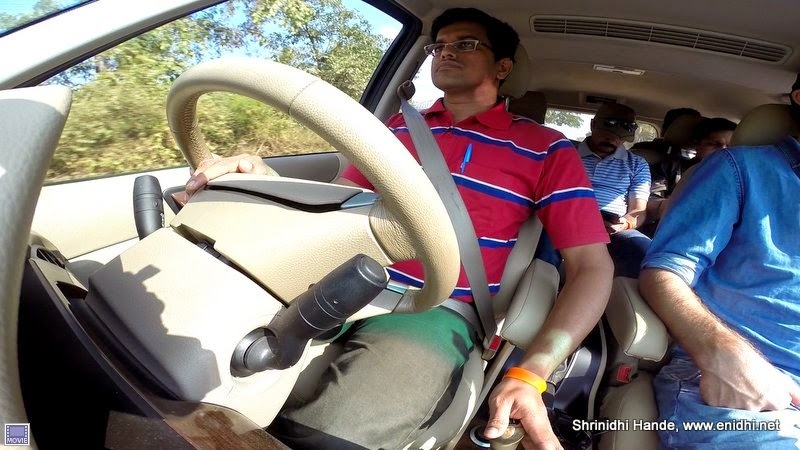 The DriveWithSOUL event involved vehicle owners driving to Goa from their respective cities on Day 1, everyone visiting Doodhsagar waterfalls and indulging in beach activities on Day 2 and long drive back on Day 3. This post shares my experiences and observations during the drive. It would have been convenient for me to fly to Goa from Chennai and then join the event, but I wanted to be part of the road trip, hence took a night bus to Bengaluru and joined them by road. On Day 1 I teamed up with other fellow bloggers who were invited- Rumana and Arjun in Bengaluru, after an overnight bus jouney. Then we headed towards Goa in a Tata Safari Dicor sent by Tata Motors. Little later we were accompanied by Raghu and his wife in his white Safari Dicor. Raghu has been driving his Safar for over 6 years now and is one of the members of Bangalore based SUG-Safari Users Group- who frequently team up and indulge in excursions with their beloved Safaris. I took the wheel for most part of the drive- the long stretch till Dharwad is nice and wide but heavily tolled. I guess we paid around 600-700 Rs in toll total, more than Rs 1 per km. After Dharawada it was ghat section, where driving is more fun. We arrived at the resort- Doodhsagar Spa Resort, few minutes before 3PM, just in time for food counters to close. Evening was relaxed time where participants indulged in one or more of the activities-such as ziplining, Yoga or a visit to Tambdi Surla temple. Surprisingly there were No brand promotions- where participants are assembled in a room and features of the car are explained. I saw this Ghatam like musical device- called Rambola for the first time in action. With some music and barbecue dinner, we ended Day 1 in anticipation of action packed Day 2. Day 2 was the real action Day. I woke up early and took a count of Safaris in the parking lot. There were 31 of them, mostly from Karnataka, Maharastra and Telangana. 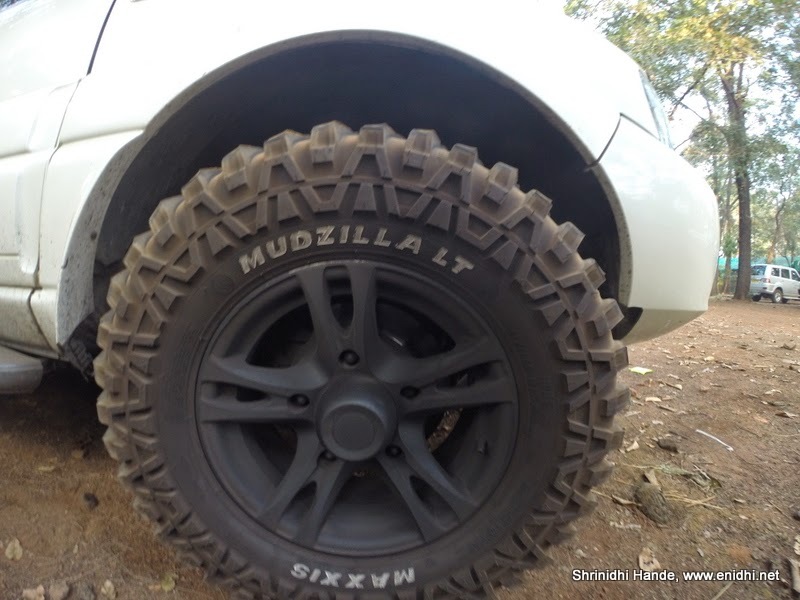 Few had eye catching modifications-like the Maxxis Mudzilla tyres on this one or the roof mounted lamps on the other. 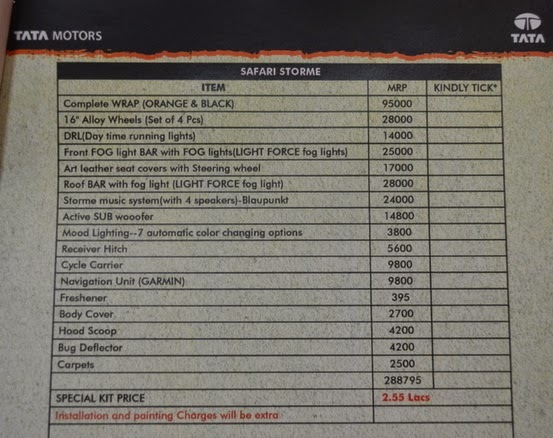 Many accessories were for sale- owners could opt for full body orange wrap, DRL, Roof bar, mood lighting and so on- owners could tick the ones they wish to buy in the printouts kept in the room and Tata would ensure that they reach their respective cities and get fitted on to the SUVs. We drove to Doodhsagar falls parking lot. From this point we were taken to the waterfalls by local taxis, crossing streams and muddy roads for about 12 kms. I had visited Doodhsagar falls last August by train [Photos and full details here]- that was from over the bridge and when the falls was at its fullest. This time the visit was to the bottom of the falls. 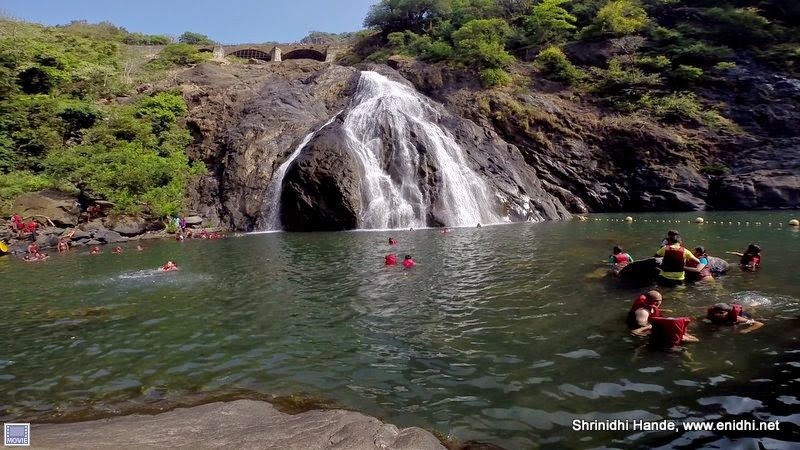 More details about visiting the Doodhsagar falls by road here in this post. We spent about an hour at the falls, clicking pics and taking a dip. Refreshing fresh water cheered everyone up. Back to the resort, it was time to head to the beach post lunch. This time, I got to drive the Safari Storme- my first time behind the wheels of Storme. It was noticeably better than the dicor I'd driven the previous day. We drove to Sernabatim beach in south Goa where beach activities were planned. I had a JetSki ride here, of which I made a video footage using headmount. You can watch the video here. While returning from the beach I got to interact with a Tata Safari owner from Hyderabad. He said he and his friend drove a dozen different SUVs but found Safari to be best bet. While he was very pleased with the vehicle, he also suggested that Company should set up regular service camps in each city, where any issue not resolved by local dealer could be addressed by Tata Motors Engineers. Later in the night, Safri owners thanked Ms Sonal, Mr Dan and others from the event management company, 70 EMG (Event Management Group). These folks are last to exit a scene and first to be in for next activity- with their amazing energy levels, skillful coordination and planning they made the event successful and memorable. My interactions with Tata Motors officials gave me some good insights on the direction company is headed. I learnt that there were prototyping and testing done to try if a Safari variant could be launched with front facing 3rd row seat and bucket seats in second row. This was felt not viable due to space constraints. So Safari with bucket seats/front facing 3rd row seat is unlikely for now. I asked if Tata would borrow technology from JLR for its SUVs- while there was no straight YES/NO answer, it was clear that the two brands are coordinating very well for mutual benefits and cost savings. I also learnt that Full Throttle event has been stopped. 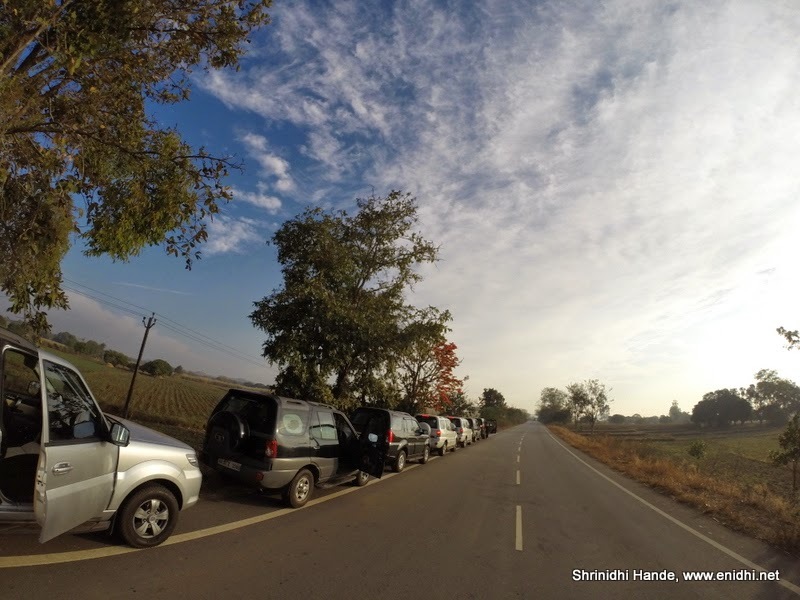 Day 3 we headed home in a convoy of 8 Tata Safaris. Let by Srihari in the first Safari and swept by Mahesh in the back. We left the Resort at 6 AM, had breakfast at Dharwad, lunch at Kamat Sira and then reached Bengaluru by about 6PM. It took 12 hours for the return journey compared to 9 hours it took for the onward journey. 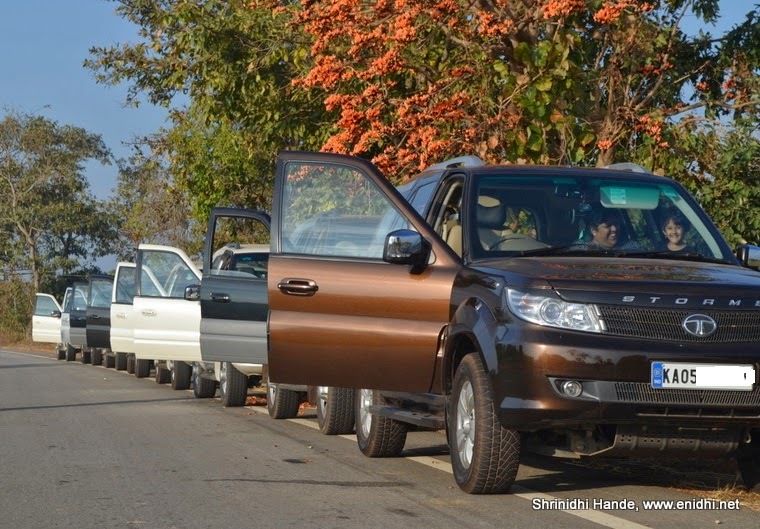 Tata motors also conducts various city events where Safari owners meet up for breakfast and drive to nearby destinations. SOUL drive was a natural extension to it. Similar to the South Drive we had to Doodhsagar falls, there was a North SOUL Drive, at Corbett, covered by fellow blogger- Prasad NP (better known as DesiTraveller). Follow him for North Updates. I am told there are many more such events planned in Future. Events like this indirectly help in brand promotion also. A large convoy of Safaris would turn heads everywhere we went. While many events often focus on owner alone, SOUL drive is also focused on families, so that wife & kids get to appreciate their husband's choice of car, interact with other families and get to indulge as much as the owners do. All in all, it was a long weekend well spent. 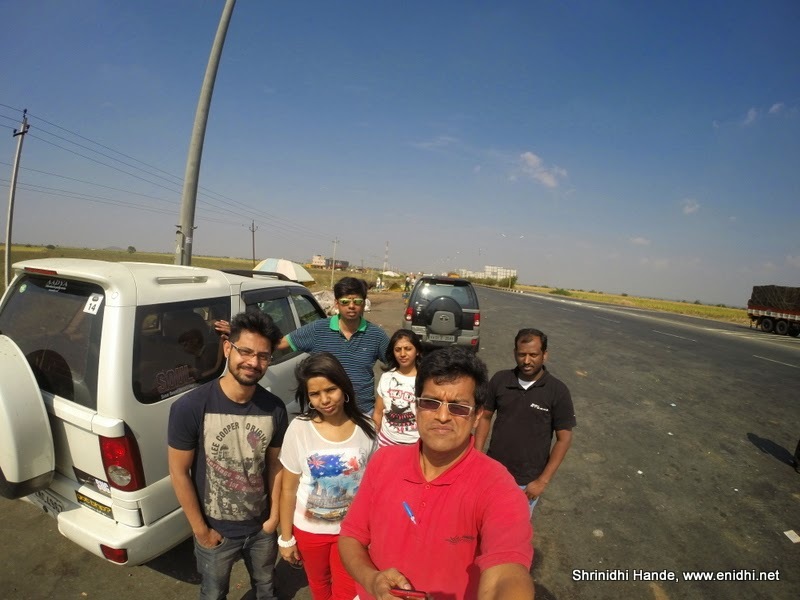 Thanks to Tata Motors and Blogadda for inviting me to be part of the experience. I will publish couple of separate posts on Doodhsagar falls visit, Doodhsagar Spa resort. Video footage also will be published after sometime, once I manage to edit them. Wonderful description of the site and safari. Really liked it. Surely a memorable trip that was. I have to visit Doodhsagar waterfalls some day. Seen it in Chennai Express also. @MI: Yes, do visit, preferably during August-September time when water levels are very high. Great post, I loved SOUL after looking this post.